This is a consistent pattern: Islamic supremacist spokesmen in the U.S. regularly make unsupported claims and then refuse to back them up. The most egregious example of this is the regularly-repeated Big Lie that counter-jihadists quote the Qur’an out of context, ignore or deny its peaceful passages, and generally misrepresent Islamic teaching—the element that is lacking every time such claims are made is an interpretation of the Qur’an’s violent passages, and an explanation of their “context,” that renders them benign. “There are historical accounts according to which the Muslims preceded Columbus, who is said to have discovered the U.S.,” claimed Nihad Awad, the co-founder of the Council on American Islamic Relations. “Some documents and accounts indicate that Muslim seafarers were the first to reach the U.S., [so] the bottom line is that Islam played a part in the establishment and development of the U.S.,” Awad told the Saudi interviewer, in an interview in a New York studio. CAIR did not respond to The Daily Caller’s request for an explanation of Awad’s comments, which were recorded by the Middle East Media Research Institute. No one is required to respond and provide an explanation. Especially, when they are simply stating facts known to anyone with any knowledge at all about history. Nihad Awad said that “some documents and accounts” make this claim. And, that is indisputable. You might dispute the claim itself, but not that such claims exist. In 1421, more than half a century before Columbus, a Chinese Muslim Admiral named “Zheng He” landed on American shores. He’s the same great navigator who was celebrated in the opening ceremony of Beijing Olympics on 8 August, 2008. The British submarine engineer and historian Gavin Menzies gave an astounding seminar on March 15, 2002 to the Royal Geographical Society in London, with evidence proving that Zheng He, a Chinese Muslim navigator in the Ming dynasty, beat Columbus by more than 70 years in discovering America. Imagine 6 centuries ago, a mighty armada of Zheng He’s ships crossing the China Sea, venturing west to Ceylon, Arabia and East Africa with giant 9-masted junks escorted by dozens of smaller ships. The crew alone totaled more than 27,000 sailors and soldiers on 317 ships. They set sail in 7 great expeditions from 1405-1433. “1421: The Year China Sailed the World,” in Singapore in a special tent near the Esplanade (until Sept. 11), is primarily a celebration of Admiral Zheng He’s seven maritime expeditions between 1405 and 1423. 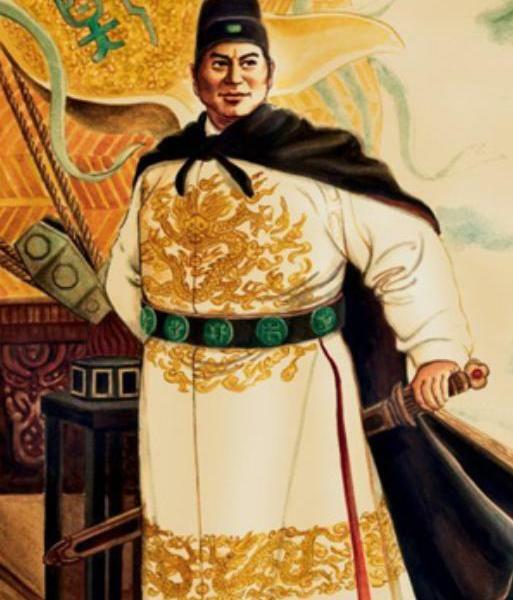 With a fleet of 317 ships and 28,000 men, Zheng He is generally acknowledged as one of the great naval explorers, but how far he actually went remains a matter of dispute. With original artifacts, videos and interactive exhibits, “1421” aims to take visitors through Zheng He’s life story, setting the historical and economic context of his voyages. Against this factual background, Menzies’s theories are presented, along with new evidence, mainly maps, backing his claims. So, Admiral Zheng is at least one Muslim that might have sailed to America before Columbus. The portrait above of Admiral Zheng He is from a Sydney Morning Herald article about a documentary on his life. This is not the first time that Spencer, and his partner in hate, Pamela Geller have objected to any suggestion that Muslims might have been here either before Columbus, or even at a very early date. In the article Moriscos, Marranos, Columbus, and Islamophobes, I discussed many such “historical accounts”. In that article I noted that “There are many theories about Norse (Leif Erickson), Irish (St. Brendan), Chinese, Phoenician, African, Arab, Japanese, etc. groups having reached North or South America prior to Columbus. None of these claims can be proven absolutely, and some have more evidence than others to be considered as possibilities. There is certainly no supremacism involved in believing that any of these might be true.” The full article contains many links to sources. Muslims, the Irish, Norsemen (Vikings), Africans, Japanese, all sorts of people may have landed before Columbus. So what! Perhaps, over time we will discover hard evidence that proves some or all of these possibilities to be true or false. Many Norwegians think Leif Erickson was the first “European to set foot on American soil in 1001”. Perhaps they are correct. The only thing we know for certain is that the Native Americans/First Nations were already here.